On October 30th the European Union launched a call for proposals making €38.7 million of EU funding available under the Connecting Europe Facility (CEF) through grants to improve the interoperability and interconnectivity of the European digital service ecosystem. In the framework of this call, €4.5 million are allocated to Public Open Data: generating value through re-use of public sector information. Interested applicants from all EU Member States plus Iceland and Norway may submit their proposals through the call open until 19 January 2016. Applicants should submit their proposal through the link on the call page. 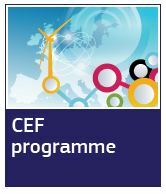 A Virtual Info Day on all the 2015 CEF Telecom calls for proposals will take place on 23 November 2015. You can register online and ask your questions ahead of the event in the registration form. This Info day will provide the participants with a background policy briefing and an introduction to the Innovation and Networks Executive Agency, who is managing the call for proposals and the grant implementation. Details on the evaluation process and tips on writing a good proposal will also be on the agenda. Participants have the opportunity to send questions on the calls beforehand via the registration form, and this input will serve as a basis for the discussion. They will also be able to ask their questions via the twitter hashtag #CEFtelecomdayduring the event. Free registration for the event is open until Wednesday 18 November 17:00. After registration, you will be sent the webstreaming link. All sessions will be accessible online via webstreaming. Sessions will be recorded, and presentations will be published after the event on INEA’s website.